Please spend two minutes using the template emails to contact your own local MP, either to thank them for their support and encourage them to stay with the campaign if they have already signed it, or to ask them to sign it if they have not. If you feel you have time to write your own email text that would be ideal, as personalised messages are always more effective, but if this is not possible for you, then please fill out and send one of the templates at least. Use the EDM link above to check if they have already signed it or not. Write to thank them, or to ask them to sign it, as appropriate. Either write your own message or copy and paste the appropriate message from below, inserting their name, the relevant borough, and your name. Please forward any replies received to me. 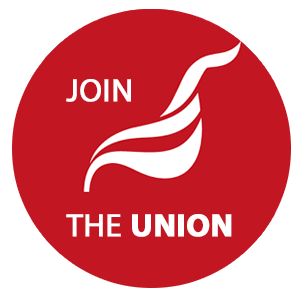 Over half of the staff are members of Unite the Union and we are desperately worried for what will happen if we do not push back against these new policies. In short, while the pay and terms for current staff are not changing for now, since July of this year, the pay offer for front line roles has been slashed by as much as 19%. Furthermore, going forward, and in direct contravention of the union recognition agreement that has stood for well over a decade, the executive team has announced that staff will no longer be allowed to participate in the analysis of job roles and the determination of ay and terms through collective bargaining through our elected union representatives. As well as the obvious negative effect of such vastly reduced salaries and terms on the quality of life of new starters in stressful and important front-line roles, there will be as serious adverse effect on our organisation’s ability to recruit and retain high quality staff. For many years, St Mungos was known as an organisation that offered comprehensive recovery services to the most vulnerable members of society: drug and alcohol users, habitual offenders and people with complex mental health issues. In many boroughs, commissioners have chosen to spend more money purchasing St Mungos services, even in the difficult public spending environment that prevails at the moment. They have budgeted in this way to be safe in the knowledge that staff are being paid fairly and the quality of services for clients and outcomes for society as a whole is higher, which makes much more sense in the short- and long-term. Please do sign the Early Day Motion to show your support for protecting high quality support services for vulnerable people, and publicise it among your parliamentary colleagues. If there is anything else you are able to do to assist our campaign, which is gaining increasing local and national government and media attention, then please do write to me and let me know. I am a resident of [INSERT YOUR BOROUGH OF RESIDENCE] and I am writing to thank you for signing EDM 394 - ‘St Mungos Broadway Pay Dispute’. Parliamentary support is invaluable to our campaign to protect homeless services, and as one of your constituents and a member of staff at St Mungos Broadway, I am grateful to you for standing with us, and vulnerable people in the UK. Please do stay with us on this campaign. We all know that the government’s austerity programme is a terrible failure and our fight to protect our service is part of larger battle to preserve decent quality public services, which is particularly important in light of the upcoming general election. If you feel that you can go further in publicly endorsing our campaign, for example by speaking at one of our rallies, liaising with the press, or anything else, please do write to me.